Intervene immediately. When you do nothing, you send the message that bullying is acceptable. If you ignore or minimize the issue, victims will not believe that adults understand or care, or that they can help. If you don’t intervene, children won’t either. Most people reading this information right now know a child who has stayed home from school this week because they were afraid of being bullied – but you may not realize it. The estimations are that an average of 160,000 students around the country stay home daily out of fear of being bullied each day. But adults, for many of reasons, have no idea that the bullying is taking place. 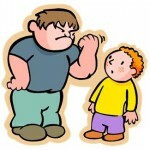 They have been taught not to tattle and often think that they are tattling on the bully. It is vitally important that children learn the difference between tattling about unimportant things and telling someone when bullying is taking place. Children may fear retaliation especially if they tell an adult they are being bullied. While the adult may be able to address the issue with the child doing the bullying, there will probably be another time right around the corner when the adult is there to help. Children may fear that things could escalate if the issue is addressed. Some children feel that they will not be listened to and that the issue will not be believed. They think that they will tell an adult and that person will not believe them or will suggest that maybe they did something to bring the bullying on themselves. A majority of children believe that telling an adult does nothing to stop the bullying. Sadly, research tends to support this thought. 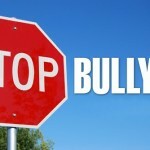 Many adults don’t do anything about the bullying, or they simply brush it off. Often kids are told to “toughen up”, or “that it is just a part of growing up”. If children learn that adults won’t help, then they are not very likely to report the incidents. When children are bullied, they often feel ashamed or embarrassed. These feelings alone can keep them from reporting issues, because they don’t want people to know that they were being bullied. Around half children who are being bullied don’t end up telling an adult that it’s happening. The more we as parents and adults can understand about the issues and address the reasons behind them not telling, the easier it will be to help solve the bullying problem our nation’s children and schools facing. The challenges that children face when not telling adults that they are being bullied can be dealt with and defeated. This can happen by having a bully prevention program in place in every school, as well as parents and adults talking to children about bullying and the importance of telling someone in authority when it happens. It is also vitally important that when children do tell adults about bullying that it is addressed in a positive manner so that they feel confident in their decision to report it the next time it happens.